Please check back for service information. 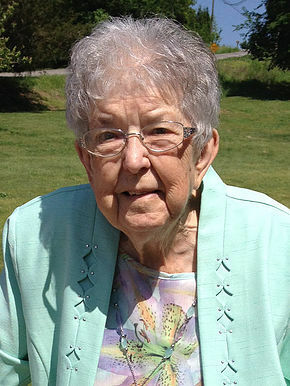 Roberts, Wanda Nell, age 96, of Mt. Juliet, TN, died May 28, 2018. Mrs. Roberts was a member of Southern Oaks Freewill Baptist Church in Oklahoma City, Ok and attended Hermitage Church of the Nazarene in Hermitage, TN. She was very active with the senior adults at church. She was a fierce competitor in game playing and cards. Mrs. Roberts was the daughter of the late, Paul and Loula Haynes Ladd. She was also preceded in death by her husband, J.A. Roberts; son, Randall Darey Roberts and several brothers and sisters. Flowers accepted or memorials may be made to Hermitage Church of the Nazarene for Sarah Kikuvi in Africa, PO Box 111, Hermitage, TN 37076 or to Southern Oaks Freewill Baptist Church, Gary Curry Charities, Builders for the Cross, 7201 S. Santa Fe Ave., Oklahoma City, OK 73139. To send flowers to the family of Wanda N. Roberts, please visit our Heartfelt Sympathies Store.